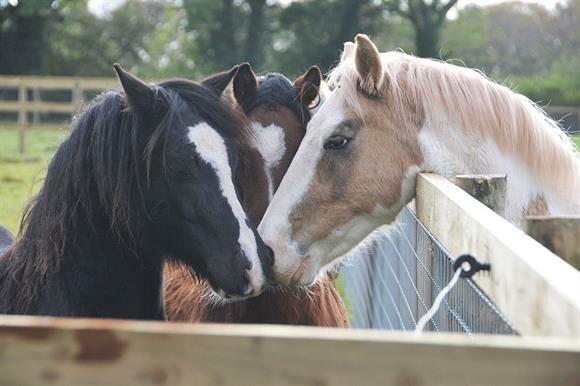 Redwings Horse Sanctuary, one of Britain's biggest animal charities, has merged with the Welsh charity the Society for the Welfare of Horses and Ponies. Seven staff from SWHP have relocated across Monmouthshire to an 86-acre site close to Offa's Dyke, near Chepstow. Redwings recently purchased two farms for just over £1m to create the site, which it plans to turn it into its sixth visitor centre. If its planning application is successful, it says, the centre will create about 10 jobs. According to accounts filed with the Charity Commission, Redwings had an income of £11.9m in the financial year ending 31 December 2017, down from £12.9m the previous year. More than 60 per cent of its income is from legacies. Headquartered in Norfolk, it employs 327 staff. SWHP's latest accounts reveal an income of £272,000 for the financial year ending 31 March 2018. Jenny MacGregor, who founded SWHP almost 50 years ago, died in November 2017 after initiating moves towards the merger. After her death the trustees conducted merger talks and took over day-to-day running of the charity, which housed more than 60 rescued horses and ponies and loaned out 250 more. Now the merger is complete, the SWHP board has dissolved. The merger means Redwings is now responsible for more than 2,000 rescued horses across the UK, including 700 living in guardian homes. The Monmouthshire site will be known as Redwings SWHP. All other sites will continue to be known as Redwings. Lynn Cutress, chief executive of Redwings, said: "SWHP is a charity we have admired and worked with closely for many years and a merger has been in the pipeline for a while, so I am delighted that it has finally concluded successfully after a great deal of hard work."